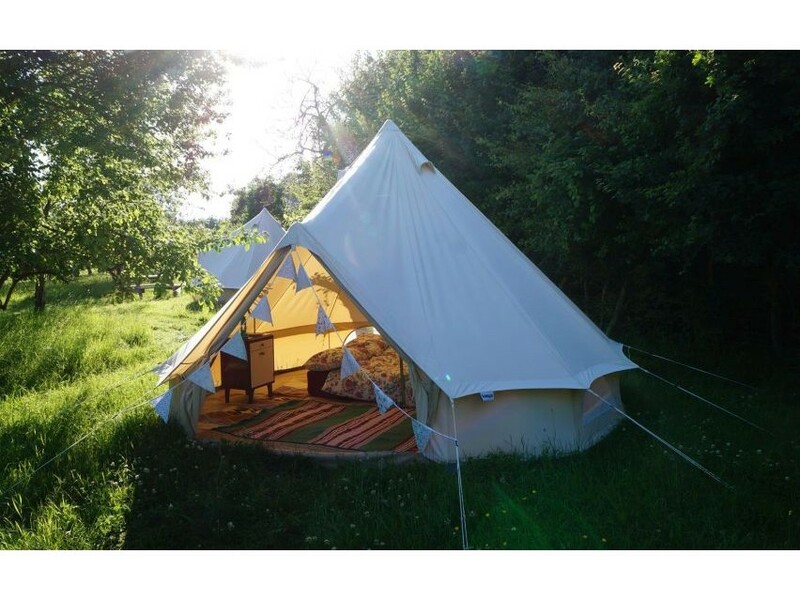 Set in a secluded plum orchard a short distance from the market town of Evesham and close to the Cotswolds, The Orchard Getaway allows you to stay in the great outdoors without losing the cosy comforts of indoors. 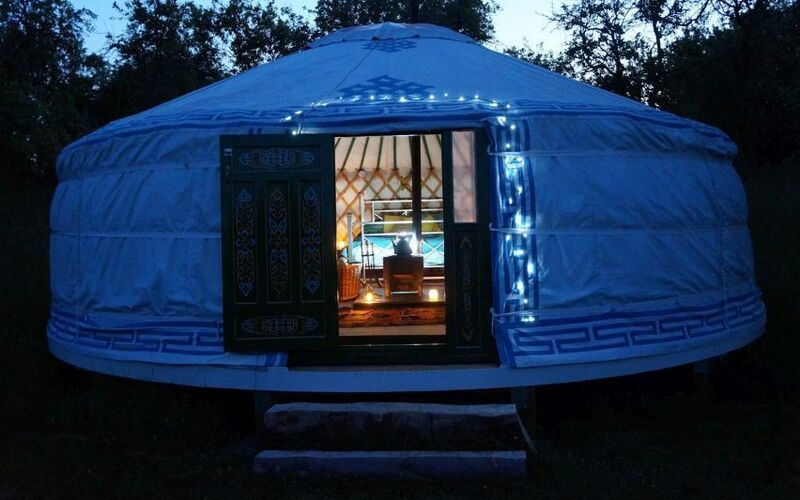 Our authentic Mongolian Yurt can sleep 2-6 and includes its own hot shower, toilet and kitchen facilities. A wood burning stove keeps it warm while outside you can toast marshmallows on an open fire or sit and relax with views across to Broadway Tower. 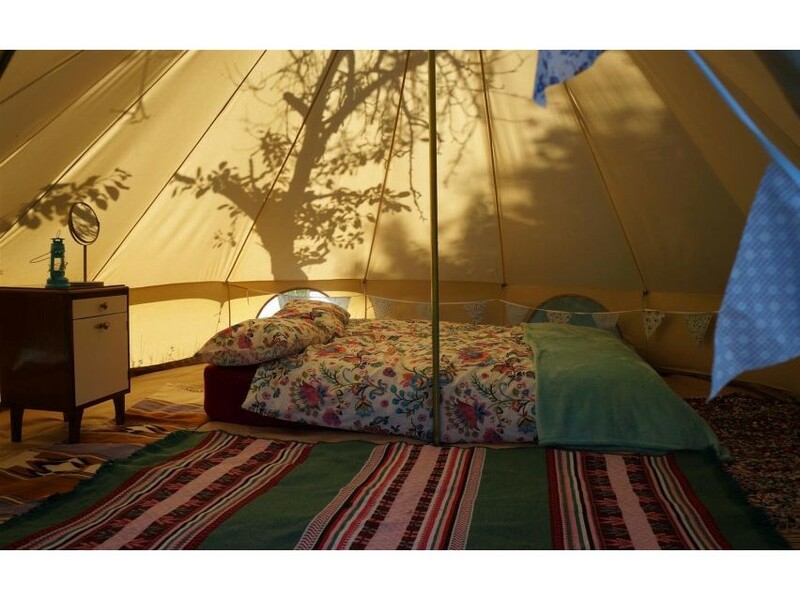 The bell tents can sleep 2-4 and come with furnishings, picnic tables and BBQs. 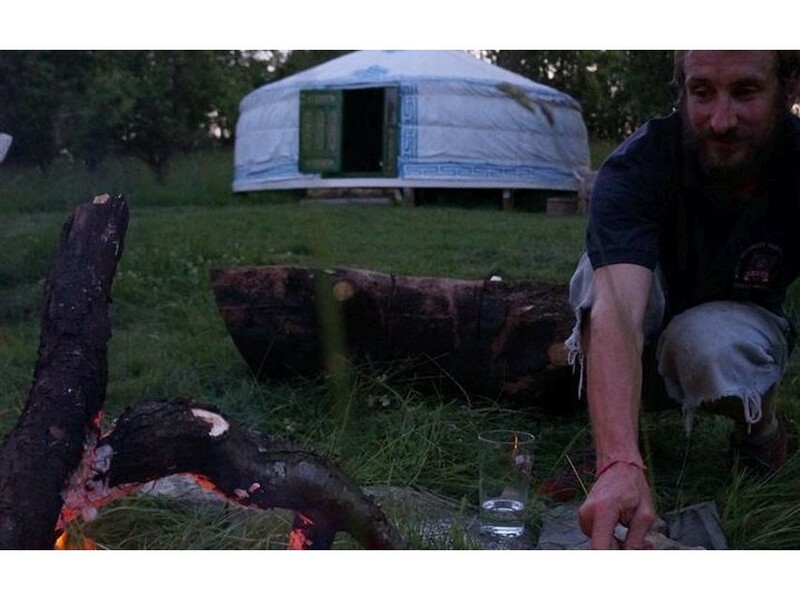 They share two hot showers and toilet facilities with a large kitchen tent equipped with gas stoves for a sociable evening meal. With miles of footpaths from our doorstep taking you onto the Wychavon Way and Cotswold Way beyond, there's plenty for those who like to get away on two feet. Quiet country lanes, pretty villages and a few hills make it an excellent location to get away on two wheels too. We can arrange delivery of fresh fruit, veg and other provisions direct from the land surrounding our farm to your picnic table. 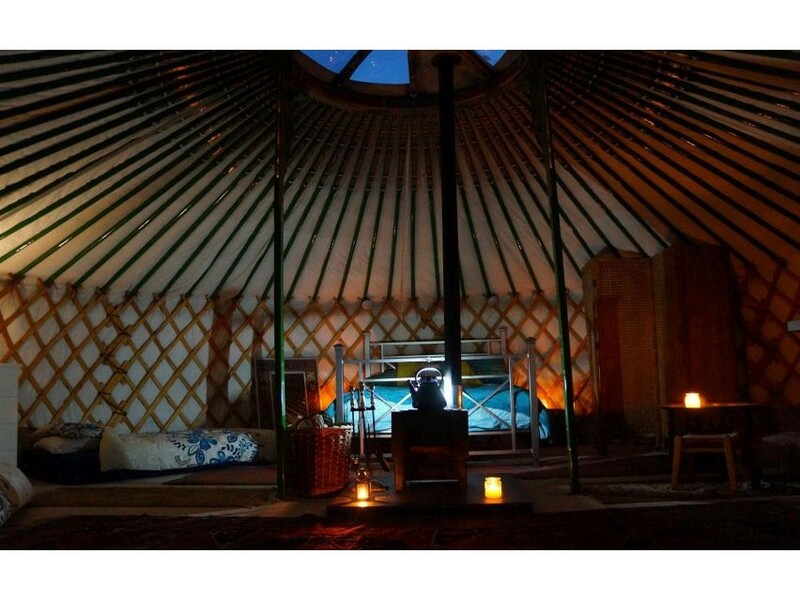 We hope to see you at The Orchard Getaway soon!